Posting of workers based on the freedom to provide services means not only a better allocation of labour resources and improved competitiveness within the common market but also a chance to improve the competitiveness of the EU economy in the global economy. Temporarily, the leaders of this economy – China and the US are ahead of us. The weakness of the EU common market as an economic whole, its low external competitiveness, does not help to reduce the distance between the EU economy and the leaders of the global economy. The EU is learning how to catch up with the leaders. Meanwhile, within the EU, we do have the best experts in the catching-up business. Catching-up is a natural state for the Polish economy. Ever since I can remember – we have been catching-up the West. And I even know when we will be able to say that we’ve caught up. And it will not be the year when Poland becomes a net contributor to the EU budget. 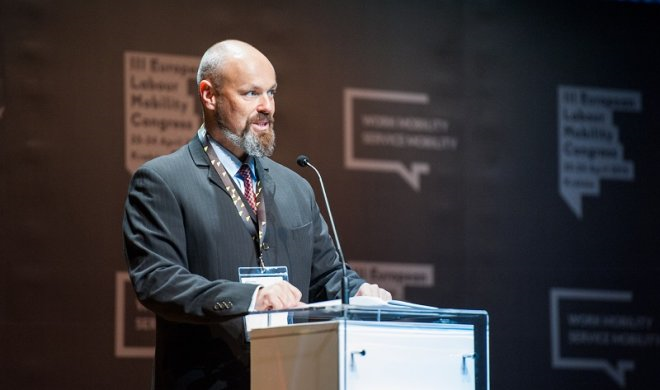 It will be the day when the introduction of universal minimum wage in the neighbouring country to which we post the majority of workers and through which most of Polish lorries pass will not be synonymous with the bankruptcy of hundreds of Polish companies, but at the most with a fine adjustment of the prices of their trans-border services and a slight reduction in profit margins. But as long as the deep differences in the level of economic development of Member States are maintained, these abolished borders (barriers in the implementation of the EU freedoms) will pop up every now and then from under our feet, especially in times of crisis. Posting of workers under the freedom to provide services helps to reduce these differences. Workers, thanks to the principles of the basic Directive, earn more than at home, and social insurance contributions and taxes stay in the home country where workers spend most of their earnings. This helps the development of the enterprise in the country, where it also pays taxes and creates jobs. A foreign contractor is pleased with the high quality of services, paying for them more… or less the same. However! Here was an opportunity to catch up with the West, because when it comes to cross-border services, Polish companies have become extremely competitive. It was not a secret plan of ours to conquer Europe. We did not want to cause trouble. We must admit, however, that Polish companies are putting the readiness of Member States to fully implement the principle of freedom to provide services in the EU internal market to a difficult test. When we think of the highest standards of quality, we imagine German cars, Belgian chocolates, Swiss banks, Spanish design, Swedish furniture or the Finnish education system. It is time to add Polish services to this list. 428,368 portable documents A1 have been issued in Poland in 2014. That is 100,000 more than in 2013 and almost 200,000 more than in 2012. It accounts to more than 1/3 of all A1 forms issued in the EU. (In 2012 – barely a quarter). Not only is the volume of legal postings from Poland growing, but it is growing faster than in other countries. From Europe’s backstage stock of services, within the past five years we have transformed into the CENTRE of European services. We meet in Cracow, Poland, because this country is no longer a reservoir of cheap labour. It is a country specialised in providing high quality, flexible and competitive services throughout the European Union. Does it mean that 428,368 German, French, Belgian or Dutch workers… were temporarily out of work for not performing those jobs for a month or two, or half a year? Or worse: does this mean that nearly half a million of EU citizens have lost their jobs? In that case, posting is indeed a Trojan horse of local labour markets and should be banned. Such an inference is incorrect, not to say ridiculous. The argument flowing from it is as absurd as that old workers are taking away jobs from the young, men from women and the able-bodied from the disabled. If the EU labour market would be based on this assumption, France and Germany would not post another 200,000 workers each and would not accept 200,000 workers posted from other Member States. There would be no mobility. Instead, their posted workers would be hired in places occupied by workers posted from other countries. If the number of jobs was the only aspect – we would all stay at home. Well, the labour market is not the sum of all job offers juxtaposed with the sum of all job seekers. The labour market is like a rising dough. Of course, evenly rising dough can also be cut up unevenly. From time to time, someone with a sweet tooth will grab a bigger slice. Work is distributed unevenly in the economy, not only geographically, but in terms of competence (skills) in terms of prices (costs). Posting of workers under the freedom to provide services contributes to a better allocation of competencies within the common market. In contrast to the permanent economic migration based on free movement of people, it brings immediate effect. Freedom to provide services as one of the pillars of the EEC, and later the EU, has been declared as early as in the Treaty of Rome. However, only after the accession of Spain and Portugal to the EEC it became intensely tested in practice. Negotiations on this freedom lasted from the early 1970s and after more than twenty years resulted in the adoption of the Services Directive. These long negotiations were caused by the difficulty with creating uniform rules for such diverse services as shoemaking, medical, banking or construction services. The idea of protecting the rights of workers is naturally much older than the freedom to provide services. An invaluable contribution to its implementation has been made by the International Labour Organization and trade unions around the world. However, in a situation of cross-border provision of services, there are still questions about which State’s laws should be applied to workers posted in regard to the rules of employment and social insurance. Without addressing these concerns, the freedom to provide services would remain an unfulfilled promise from the 1950’s. That is why it was so important to adopt Regulation 1408/71/EC and 883/2004/EC on the coordination of social insurance systems as well as Directive 96/71/EC on the posting of workers under the freedom to provide services, and in the past year – a directive enforcing its application (2014/67/EC). It’s no coincidence that the detailed rules regarding the principles of posting workers under the freedom to provide services coincided with a very dynamic growth of cross-border services. And as quickly as unexpectedly, Europe was divided into posting and receiving States. However, this was not a politicians’ plot. It was a grass-roots movement of businesses, especially small and medium ones, which, after the accession to the European Union simply began to use and enjoy the freedoms offered by a common market. Today, this dynamic development of the cross-border services sector puts Europe to a hard test. Are Member States really ready to participate in a common market, greatly expanded 11 years ago? Are they ready to face competitive services from Central and Eastern Europe to the same extent as the Central and Eastern European countries were ready for competition resulting from the free movement of goods, and especially the free movement of capital? In the media and in the public debate a sign of equality is often placed between the posting of workers and exploitation. Of course, in the case of illegal or undeclared employment, deceiving and exploitation of workers is common, even Europe has a human trafficking problem – it is a dark chapter of the European labour market. But putting an equal sign between posting of workers and exploitation is unacceptable. Legal posting is indeed the most effective prevention tool against modern-day slavery and human trafficking. The second accusation made against service companies is that they commit social dumping and take work away from local workers. It must be stressed that posting of workers does not lead to social dumping. And this is not because of the temporary nature of the service. Freedom to provide services is not limited to short-term or one-off services. Services may be provided permanently or reputedly. Would a service provider want to give up working with a contractor for the sole reason that they are located on the other side of the Oder River? In contrast, the work of a worker posted to perform the service is temporary in nature. Therefore, posted workers, as emphasised by the CJEU in its jurisprudence, do not usurp the right to local jobs. And most certainly posting of workers is not a manifestation of social tourism, because even such allegations were made. Posted workers leave their country for work, not benefits. Thanks to the coordination of social insurance systems, in the event of social risk they are protected by the social insurance system of the (home) State, where their employer is established. Unlike in the case of permanent migration based on free movement of workers, posting of workers precludes welfare tourism. Posted workers are exposed to additional risks – their knowledge of the language or local law or institutions is insufficient. For this reason, they should be protected in a particular way. Providing this protection, however, does not necessarily have to entail additional costs on the part of employers adding up to the final cost of services. What’s more, control measures and requirements established in order to protect the rights of posted workers may not impose an undue burden on the employer, who would become uncompetitive as the result. These burdens must be proportionate, justified and must be non-discriminatory in nature. Obviously, it is easier to hold control over an entity which is fully legal, declared and thus visible to the controller. It is much more difficult for the inspection to spot an unknown economic bandit from an unknown location who employs people illegally and cheats them out of wages. I fear that the provisions of the Enforcement Directive do not protect against undeclared work. They may, instead, be easily (ab)used to cause problems to a company legally posting workers. The source of the weakness of the EU economy is a conflict or a crisis of its own values, which the EU adhered to from the outset. It is not that the values have failed but the Member States do not recognise the value of a strong internal market and focus on competing between the economies of individual Member States. In the Department of Public Economy and Administration at the Cracow University of Economics, a seminar under the name “The Krakow Circle” has been running for years. The seminar’s theme this semester is axiology. Special attention is paid to the sources of values. Just such a context is needed in our further deliberations. Where do values come from? Are they unchanging? These questions only seem detached from reality faced by employees of HR departments in companies which posts workers when “negotiating” A1 statements for their workers with the employees of the Social Insurance Institution throughout Poland. But it was values, transformed into standards, which told them to assume these social roles – each person theirs – and they are ordinary people, who must settle this conflict of values. Whether they believe in these values themselves, whether they do it with an awareness of the values they implement – this is another matter. Are they taking part in the formation, shaping of these values, and in the end do they agree with them and why? The worst scenario is when they implement standards flowing from the values created by others, against their own personal values. Own values can be created by man (very rarely) or acquired through upbringing and socialisation. The employees of HR departments and employees of the Social Insurance Institution, all in their roles, apply to standards (or even better – procedures) and do so sometimes in spite of values, which they were still upholding when they were scouts. They do so not because they are devoid of morality or do not understand the values standing behind these standards, but because other values become more important to them or simply more urgent – e.g. to support themselves and their families. Thus, they try to find a compromise between the values, internalise the values or organise them. The employee of the French labour inspection will kindly ask the French partner why instead of a French company and French workers he ordered the service from a Polish company, and will ask the Polish company for proof that it is established in France, or otherwise recognise the workers as working illegally? The Belgian government will issue a decree allowing unilateral rejection of A1 declarations and compulsory inclusion of workers already insured in another Member State into the Belgian social insurance scheme. The Bundestag will adopt a minimum wage based on the boundaries that were supposed to not exist, and will do so in belief that it is not crossing any boundaries. The Court of Justice will rule that although there can only be one minimum wage, a higher one should be selected. Values do not remain in harmony, they become imbalanced. We should ask a question during this Congress whether we are far from that moment, has it already occurred and what we are helplessly witnessing is a historic resentment – a reversal of values in response to a failure – a return to nationalism, colonisation, separatist tendencies within the EU? There are those who herald the beginning of the end. “This project has failed,” said Nigel Farage. “I will destroy the EU using its own weapons from the inside” – said Janusz Korwin Mikke. While the statements made by these colourful MEPs make us giggle and at most force us to reflect, the words of Marine Le Pen terrify. And while these voices are still in minority, the people of Europe (pardon! Individual countries in Europe) vote for them. This means that the values that stood at the foundations of the European integration have competition in the form of other values – separatism, colonialism, xenophobia. I’d also like to say a word about the weaknesses of the social dialogue. The strongest point of this congress is its practical and not just scientific character, mentioned by our University’s Chancellor. It is a forum for exchanging experiences and transferring knowledge between politicians, officials, businessmen and academics. We are lacking one important element in this noble group – and this is the biggest weakness of our Congress. Do you know which? Posted workers, or at least their strong trade union representation. It is a pity that there are no trade unions with us but it does not mean that there is no one to defend the rights of posted workers. Instead, they are represented by… the employers of posted workers, who must defend them against their own inclinations to exploit them at work, to deprive them of the allowance for travelling to the work site, or try to include the per diem in the minimum wages paid. But instead, they must defend their right to work, the right to perform it in any Member State, a common, still on paper – par excellence, uniform and internal market. They must defend this right in the State where the service is performed against local trade unions, whose openly declared interest is not to protect posted workers’ rights but to protect against social dumping and to provide employment for local workers by eliminating foreign competitors from the market. (Foreign? But there are no borders!) They must defend the posted worker’s right to work against the local labour inspector, whose undisguised aim is to cause that only his countrymen get the job. Should not the aim of the inspector be to assure that the rights of skilled workers regardless of their nationality, or where their employer is established, are to be protected? The employers have to defend the posted worker’s right to work, as it is a value COMPLEMENTARY to their own right to perform services in another Member State without having to set up a branch there. Yes, there is a conflict of values: between the protection of local labour markets against competing workers from other EU countries and the mobility of services (and work). It’s this conflict that we need to resolve in the first place, and the solution is not obvious. Perhaps restoring economic borders is the appropriate response to this conflict? If this value prevails in the EU, we will not need to change the law. We will simply begin to interpret existing rules in light of other values. And I even think I know from where to expected a strike: the liaison authorities as a result of the joint inspections carried out will begin to ask whether any other posted worker has already worked on this position in the past and whether a new worker is by any chance replacing him in the country where the service is performed. We failed to push these values through by tightening control provisions in the Enforcement Directive, so we’ll do it by using the provisions on the coordination of social insurance. Conflicting values have permeated the law. Just compare the meaning of “to replace” in Article 12 in fine of the Regulation 883/2004/EC on the coordination of social insurance systems with “to replace” used as one element in determining if the posting is genuine in Article 4 Section 3 g) of the Enforcement Directive. Only a joint statement by the Council and the Commission placed at the end of the latter lets us hope that the freedom to provide services will win over protectionism (pardon!) – protection of local labour markets. However, if the labour inspector does not read the directive to the end, protectionism will prevail. But then, we will be consistent and ban the sale of French wine in Polish stores and restaurants? I hope that today’s and tomorrow’s deliberations will not contribute to this. And I will gladly raise a toast to this with wine produced and sold on a single market.